With technology these days, very little is left to the imagination. But could you imagine a world where you could turn day into night at the touch of a button? Well, dream no more because electric shutters have recently become additions to many homes throughout the UK, and with their convenient and stylish nature, it’s easy to see why. With our surroundings becoming more and more modernised every day, never again will you have to lift more than a finger to open or close your shutters. With the latest offerings in the world of windows, you can now simply sit back and relax while your shutters gradually close at the touch of a remote control. In addition, electric window shutters offer many security benefits thanks to their strong and durable design which will also give you complete privacy. Their unique construction allows for silent operation which means they can be used during both day and night without causing any noise disturbances. The silent Perfect Tilt system is generated by a 9 volt battery powered motor in each single louvre together with the light receptor on the front side of the pane. The other louvre’s are driven by the tilt rod and each battery powered motor is operated to a maximum louvre height of 1 800mm. 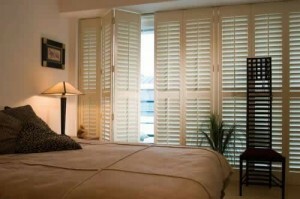 These shutters can be used on all the windows in your home including conservatories. They can even be incorporated into special shaped shutters such as triangular apex windows. Furthermore, they will allow you to let in as much light into your room as you would like, with the option to control each shutter panel controlled individually as well as simultaneously. Shutter Design is a family run Yorkshire business specialising in the complete service of shutters from supplying to installation. They have a high quality range of electric shutters available in a wide selection of stylish designs to provide you and your home with the ultimate comfort and luxury of remote controlled shutters. For more information on their shutters and services, visit their website.